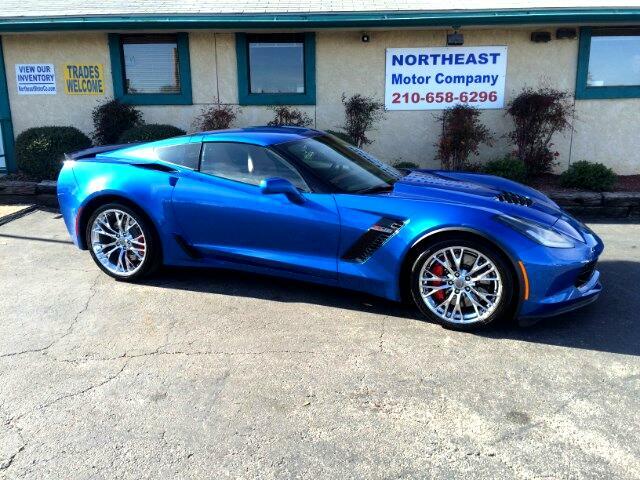 2015 Corvette Z06 3LZ 7 Speed only 7k MILES!!! Virtually dripping with exoticism, this sleek yet chiseled Corvette Z06 is here longing for you to take it home. With only 7k miles, this car still maintains a nearly flawless condition. Equipped with a neck snapping 650 Horsepower 6.2L Supercharged V8 Engine, 7 Speed Manual Transmission, Navigation, Backup Camera, Bluetooth, Premium Leather Interior, Dual Zone Climate Controls, Heated and Ventilated Seats, Power Adjustable Seats with Memory Seat Position Recall, Power Telescopic Tilt Steering Wheel, Heads-Up display, BOSE Premium Audio, Steering Wheel Mounted Audio Controls, Cruise Control, Homelink, On Star, Chrome Aluminum Alloy Wheels, Auxiliary Audio Input with USB Interface, Pandora Internet Radio, Sonar Parking Assist, Push Button Starting, Keyless Entry, and MORE!!! Call or come out today to inquire about our easy financing options and many available extended warranties. We Finance! !